I will use this thread for all of my future feature requests, unless my requests fit in under an already posted thread, in which case I will post/reply to that thread. If you see any requests that have already been posted somewhere or are already being worked on, let me know and I will update this thread! 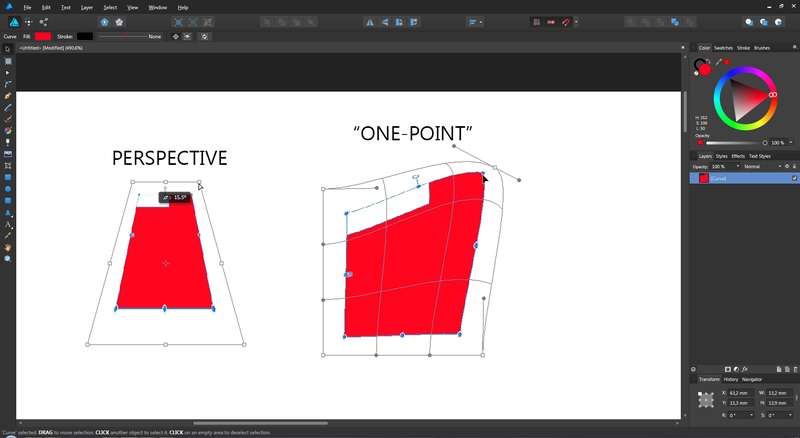 A fill/flood tool for the vector part of Affinity. Ex: If clicked on an empty canvas it would create a shape of the canvas with no stroke, only a fill with the currently selected color. Seems to be worked on already, according to the roadmap! An option in the snapping options to affect vertices as well. 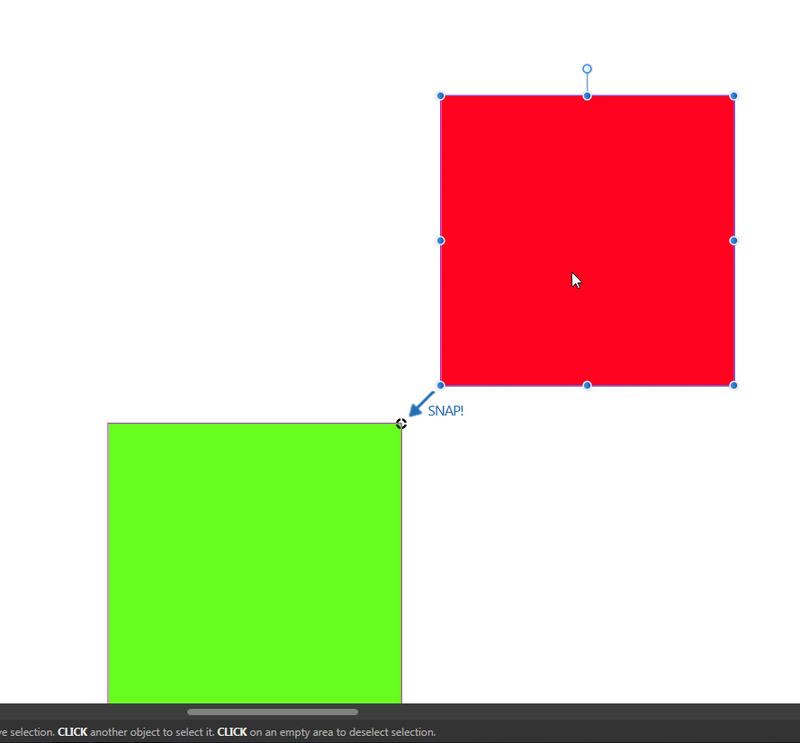 Ex: When you create a rectangle and then add a node in the middle on one side and slide it, that it could snap to the middle point between those two nodes. Another nice option would be if you could make vertices (and other objects as well), snap to the straight horizontal/vertical and all of the diagonal snaps without being relative to the starting-point. Also a mirror mode would be nice. It would be a mode that lets you affect two sides of an item at the same time. An option to alter the diagonal snapping angels. This option could be visible at all times for easy access or it could be implemented in the appropriate context sensitive menus. One could use presets or input directly with desired value. If dragging an object with nodes/handles, that there would be a node/handle snap option, so that when the nodes of the dragged object come near another object's node(s), that it snaps to it. Ability to mark/manipulate two or more node/vertex handles at the same time and maybe a way to copy a node's parameters and paste them? Option to resize UI elements and the layer thumbnails. Ex: Small, medium and large. The option could reside in the "Customize Toolbar" window. 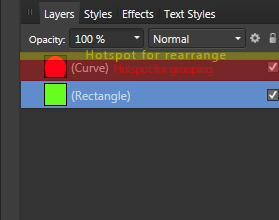 When dragging layers, it would be nice if you could hold a hotkey to have layers not wanting to be group, only arranged. Also, vice versa. When arranging layers, when dragged atop one another, that the layer beneath the "grabbed" layer gets highlighted and if released, grouped. A little more margin would be nice, so that you have more space where it would group it and you would have to go more to the "top" of the layer icon to have the grabbed layer be placed above it. I don't know if it is a bug or anything, but at the moment you can't resize panels vertically, only horizontally. If it's not a bug, I would find it nice to be able to do that, at least on the layers panel. An option to be able to merge vertices when on top of each other, but also expanding this feature to be able to merge vertices; to center, to horizontal/vertical center, to left/right diagonal center, to first/last selected etc. Expanded functionality for the "Arrange" tool so that it would work on vertices. That would make arranging vertices easier. Make so that the rotation center affects the flip horizontal and vertical actions, since right now it only affects rotation origin. 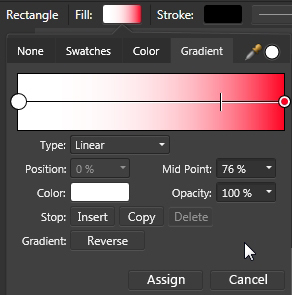 Having a "swap" button whenever there is a "fill/stroke" option, in the context sensitive menus so that you don't have to look for the color-wheel. Or have "X" key actually flip the colors, not just flip between what color is selected. Can be done with "Shift+X". This will flip the colors around. A hotkey for deleting layers. Ex: Like when a layer is selected, pressing "DEL" would delete it. Perspective scaling and warping. Seems to be worked on already, according to the roadmap! When in any menu with many check-boxes, that you could hold "Ctrl" when clicking a box to uncheck everything but the checkbox you clicked. Could be nice for the layer panel and it's visibility toggles. A "focus" hotkey, maybe on "F". Ex: If something is selected and you press "F", the screen zooms in on it and fits it to the screen's width and height. If nothing selected and the user press's "F", it fits the canvas to the window screen. Can be done, somewhat, by double-clicking on the thumbnails of layers. Although I would still think a button would speed up workflow. 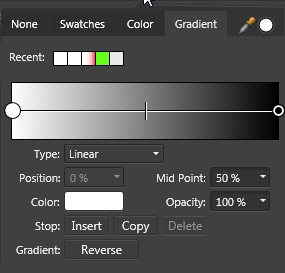 A button that says "Assign" and "Cancel" when in the gradient menu, since right now if you go to the gradient menu you have to click/move the "midpoint" slider in order to assign the gradient to the selected object. If you just go to the gradient menu and click outside of menu it doesn't get assigned. Also a value to set the "hardness/softness" of the blend between both colors would be nice. An option/hotkey in the "Eyedropper" to be able to select single color or whole gradient. Automatically deselect the previously selected node in the pressure customization window so that the automatically selected node doesn't fly all over the place when you go in and try to select another node without thinking. More tools to customize pressure. Ex: Ability to enter x and y values for nodes, enabling/disabling node snapping. An option in the settings menu to be able to set whether all of the layers/slices should automatically be added/checked for export or not. This could also be remedied by the "hold a button to deselect all other check-boxes" feature suggested above. Object based gradient (linear). 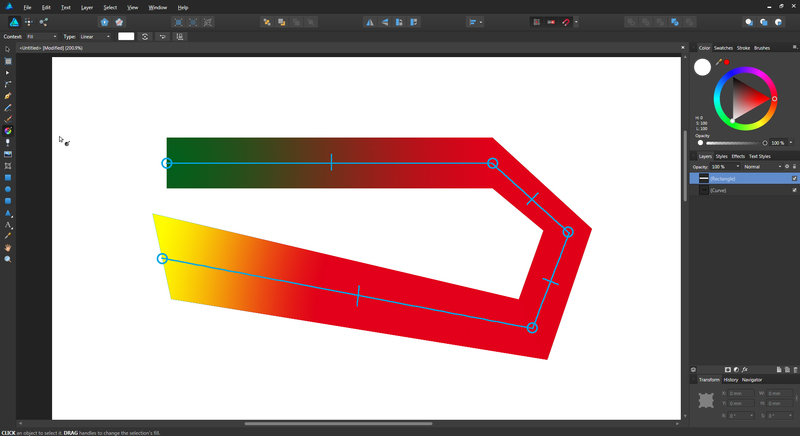 This is a big one, but the premise would be that you could have a linear gradient "follow" the "flow/direction" of an object by manually placing points on the object to assist Affinity in knowing the "flow/direction" that the gradient should go. It would be nice if Affinity could do some own calculations and perhaps automate the procedure, but that is only if it is possible. Some kind of command to open a "transform" box/controls around the currently selected objects/vertices at any time. This way you could manipulate a group of selected vertices in various ways. Convert "Stroke" to object/solid/fill. The program could do a trace around it or something. The use for this is that I sometimes find myself doing a shape with the "Pen Tool" using only stroke to get the shape I want since it is way easier, but then I realize that I have to go to long way around since you can't make your stroke into an object. 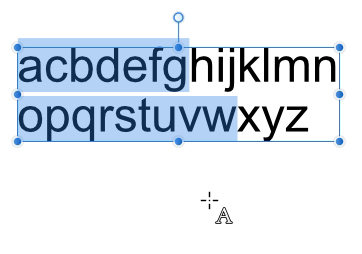 Apparently, this is already possible by going "Layer>Expand Stroke" in the top menus with the stroke selected. Thanks to member "JotHa" for telling me! The "Outline" effect doesn't currently have an option to choose whether the edges of the outline should be hard/chiseled or rounded. Would be nice with a way to change this. Some controls/attribute windows that are a digits/values could have that if you hover your mouse over the attribute's name, the cursor would turn into two arrows pointing away from each other, and if you then proceed to hold down and drag with your mouse, you could adjust the value by dragging left or right instead of having to have a slider or manually enter different values for testing. Ex: "Dash width=1", if you placed your mouse over "Dash width" and dragged, the mouse cursor would turn into two arrows pointing away from each other and you could adjust the value by dragging left or right. The gradient swatches could be displayed on the swatches page as well as on the gradients page, since having to switch to swatches just to have access to the gradients feels slow. Snap to curve option. A checkbox that enables "Curve to Curve" snapping and then curves closest to each other would snap together. An option to cut with the following way. Select a "Cut Tool" and press node one and node 2. The program will now create a cut between these two nodes. An option would decide if, when the cut is done, if it makes a gap or not between the two now separate pieces. This or a hotkey where you just have to click somewhere on a path and Affinity would cut there. A "Studio" panel where you can save symbols for later use, so you don't have to have an Affinity file where you keep a bunch of symbols. This could be separate "Studio" or be implemented into the already existing "Studio>Symbols" panel. This way you would have icons/symbols that you want to use across multiple projects, close and convenient. It could be as simple as a folder where, when clicking a "Save Selected" button, Affinity would save the selected graphic and just read them from there, showing a small preview of the items in that folder. This would make for "easy" implementation of said function and would yield users easy access and editing of saved icons/symbols. If you like any of the suggestions made, you can use the poll at the top to vote for the feature that sounds the most interesting/fun/useful! Just click on the numbers that corresponds to the features that you want to vote for! Does anybody know if there is any way of getting the top ranked ideas to the developers? I know right? I have had several moments when doodling around with ideas in Affinity, where this would have saved/aided me a lot. I hope the developers can make something out of it. I love Affinity and would love to watch it grow even further.